This Limited Product Warranty is issued by Tunit (BVS Ltd) to their customers who have purchased and had installed, (The Engine Management Device) and who otherwise satisfy the terms and conditions of this Warranty. The term Warranty refers to this Tunit (BVS Ltd) Product Limited Warranty. This Warranty provides coverage only to their customers and only in respect of their customers Vehicle for a 12 month period following the installation of the (The Engine Management Device). Subject to the terms, conditions and exclusions set forth herein, Tunit (BVS Ltd) agrees at its option and expense to repair or replace, at reasonable cost and up to the Single Claims Limit, any of the covered Parts that experience a Breakdown during the warranty period, where the Breakdown occurs within the Geographical Limits and where it is proven that the Breakdown is directly attributable to the (The Engine Management Device) and providing (The Engine Management Device) has been properly installed by a Tunit (BVS Ltd) registered installer and where the Vehicle has been correctly serviced in line with the manufacturer’s recommendations. This warranty will cover the reasonable costs of repair or replacement of the Parts and will include the associated cost of labour as determined by the Glass’s ICME manuals in effect as of the date the repair is carried out. Parts that have experienced a Breakdown may be replaced, at Tunit (BVS Ltd)’s sole discretion, with used, rebuilt, remanufactured or new parts. When the cost of repairing Parts, including labour, exceeds the cost of replacing the Parts, Tunit (BVS Ltd) reserves the right to pay or reimburse the customer for replacement based on the cost for used, rebuilt, or remanufactured parts depending on the age and mileage of the Vehicle at the time of Breakdown. This Warranty will commence and become effective on the Start Date specified in the Registration Form. Take Your Vehicle (if safely drivable) to a GST registered Repairer of Your own choice. A. The Vehicle registration number and VIN number. B. Your name and address. C. A detailed Parts and labour estimate of the Repairs Cost. Tunit (BVS Ltd) Authorised Claims Office will issue You a claim form and the Repairer with a repair assessment form. Please ensure that the Repairer does the following: Completes and returns the repair assessment form. Obtains authorisation to carry out repairs and makes a note of the claim number issued by the Tunit (BVS Ltd) Claims Office, carries out the repair and sends their GST invoice, claim number and copies of any GST service receipts (if applicable) to: Tunit (BVS Ltd) Claims Office at PO Box 1127, Ashmore City, QLD4214. Your Repairer must not carry out any repairs without first obtaining authorisation and not without the Claims Office issuing a claim number. You should stop driving Your Vehicle immediately if You become aware that there is a dashboard warning light indicating a fault where You should stop or any other notice such as an unusual vibration or noise, leaking water, oil or steam. If You believe that the fault may become the subject of a claim under the terms of this Warranty (even if You are not sure) You should report the fault to the Claims Office as soon as practicable and in any case within 7 days (any failure to notify the Claims Office will result in a claim being rejected). No repair work should be started before the Claims Office has approved it and issued a claim number. Should You decide to give permission to the Repairer to commence work, without an authorisation number being obtained from the Claims Office, You do so in the full knowledge that We reserve the right not to meet Your claim because You have denied Us Our right under this Warranty to inspect the Part prior to its repair or replacement. The Claims Office will not process payment for a claim until they have received a copy of Your completed claim form, Repairer’s GST invoice, claim number and copies of GST service receipts or main dealer stamped service book (or confirmation) together with a completed and signed repair assessment form. Make a note of Your Vehicle VIN number (found on the Warranty Registration). This will make it simpler if You have any questions about Your claim. With every claim You make, You must provide a detailed GST receipt from a garage/Repairer. If you are claiming for more than one Part then these will be treated as a single claim within the Single Claims Limit. We reserve the right to decline Your claim should You fail to provide correct and satisfactory documentation (as required above) within 14 days. The claims line number is: 1300 46 45 80. In order to make sure that You receive the highest level of service and for training purposes telephone calls to the Claims Office may be recorded. The claims office hours are 9am to 5pm, Monday to Friday. Saturday 10am to 2pm. This Warranty is only valid if You agree to these conditions which apply to all sections. Please take time to read them. In particular, also please note the conditions regarding Vehicle servicing. A detailed claims procedure is given in this Warranty. You must follow this procedure any failure to do so may result in a decline and non-payment of Your claim. 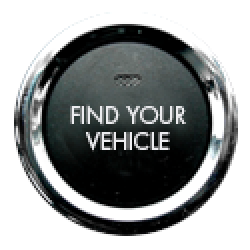 It is Your responsibility to authorise the initial investigation (diagnosis) including any dismantling of Your Vehicle or its Parts as may be required for a proper diagnosis to be made. We will only pay for such investigation if the investigation is assessed by the Claims Office as being within the costs of a valid claim. 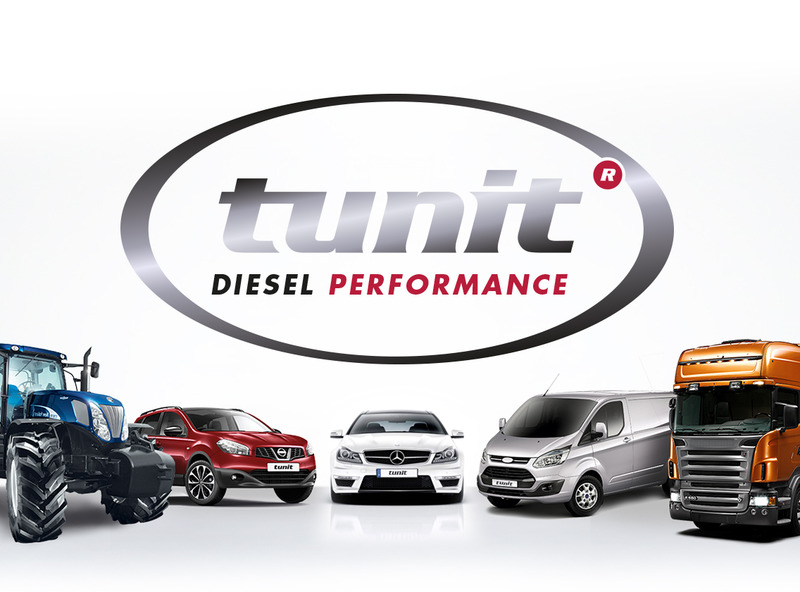 Tunit (BVS Ltd) has the right to examine the Vehicle and also have the faulty Parts expertly assessed. Should You give permission to the Repairer to commence repairs, without an authorisation claim number being obtained from the Claims Office, You do so in the full knowledge that We reserve the right not to meet Your claim because You have denied Us Our right under this Warranty to inspect Your Vehicle or its Parts prior to its repair. At notification of any claim We reserve the right to instruct an independent engineer to: inspect Your Vehicle, before authorising any claim; or inspect Your Vehicle and any insured Parts that have failed and have been removed, together with any original documentation after any repair or replacement has been carried out or authorised. When this right is exercised We shall have no liability for any loss to You arising from any delay in commencing repairs. We reserve the right to charge the cost of any attempted and failed engineers inspection of Your Vehicle against any subsequent authorised amount, due to Your Repairer being unable to present Your Vehicle or its Parts as required at the pre-arranged place, time and date. You are required to ensure the correct servicing of Your Vehicle, within the periods as required by the Vehicle manufacturer as detailed within the Servicing Handbook using a Vat registered Repairer. Proof of servicing will be required to support any claim. We will allow 30 days and 1000 miles over the recommended service interval but no more. This Warranty is not transferable under any circumstances and will cease if the Vehicle is sold or is the subject of a total loss insurance claim. This Warranty has no surrender value and no refund or rebate will be made under any circumstances. If a false and/or dishonest statement or claim is made, this Warranty will be cancelled and no refund or claim settlement will be made. We accept no liability for the responsible disposal of Your Vehicle, any covered Part or salvage under any event. We may cancel this Warranty immediately if Your Vehicle is Written Off, stolen or if You have failed to carry out the correct servicing or if (The Engine Management Device) is removed, tampered with, damaged or suffers from any defect due to negligence on Your part or the part of any Repairer by sending You notice in writing direct to You by Recorded Delivery to Your last known address. You are covered against the reasonable repair or replacement costs up to the Single Claims Limit. If Your Vehicle and any claim is covered by any other warranty or goodwill settlement We will only pay Our share of the claim (if any). We are not liable for any statement or representation which contradicts any of the conditions of this Warranty unless the statement or representation is supported in writing by the Claims Office. The Parties are free to choose the law applicable to this Warranty. Unless specifically agreed to the contrary this Warranty shall be subject to English Law. A. Any Category 1 Vehicle with an inception mileage above 50,000. Any Category 2 Vehicle with an inception mileage above 100,000. Any Category 3 Vehicle with an inception mileage above 150,000. B. Any serviceable items normally replaced during the manufacturer’s recommended servicing of the Vehicle or items with a limited life span such as: oils, grease, fluids, filters, fan and drive belts, batteries, alternators, starter motors, injectors, heater plugs, sensors, catalysts, exhaust system plus; any other parts listed within the Vehicle’s manufacturer service manual (unless any such items are authorised within the costs of a valid claim). C. Any Breakdown of Parts which the Claims Office believes is due, solely or in part, to Wear and Tear. D. Parts which may be suffering from Wear and Tear but have not suffered a Breakdown including such Parts which are reported or recommended for replacement by Your Repairer during the Vehicle’s routine servicing. E. Repairs, alterations or replacement of Parts not authorised by the Claims Office or a Vehicle which has Parts which have been modified from the manufacturer’s original specification or any modification to the (The Engine Management Device) or its installation. F. Any Parts which are: corroded, rusted up or Parts which the Claims Office believes have suffered damage specifically due to: flooding, freezing, water ingress, melted, lack of or incorrect coolant, lack of or use of incorrect lubricant, lack of or use of incorrect fuel, blockage, sludge or Parts which are electrically overloaded due to incorrect use of welding, starting or charging equipment or Parts damaged due to the inappropriate introduction of foreign objects or debris or Parts which a qualified engineer appointed by the Claims Office believes have only suffered damage by being driven-on after the fault was more than likely to have been apparent to the driver or any oil leak, fuel or fluid leak or any Parts replaced in pairs (or in greater numbers) when only one Part has failed. G. Any claim for Parts which are being (or have been) recalled, modified or altered in specification to improve any previous design fault by the Vehicle’s manufacturer or Parts which have well known, common published design faults. H. Any Part which has been the subject of a previous validated claim or any Parts which have suffered damage due to criminal damage, theft or attempted theft, accident, negligence, misuse, incorrect servicing or any Part not reported at the time of claim which suffers damage at the hands of Your Repairer during the strip down or re-build process. I. Any parts not specifically listed or described as being included within the cover or any claim for Parts covered in whole or in part by any other warranty, guarantee or settlement. J. Any claims made against the Warranty before the Warranty Start Date or after the Warranty has expired. K. Any claims made against the Warranty where the person making the claim is not You named on the Warranty Registration. L. Any secondary claims made against this Warranty. M. Any loss, damage or failure which a qualified engineer appointed by the Claims Office believes could or should have been avoided or was totally or partly caused by a lack of previous routine service and/or maintenance as recommended by the manufacturer or within the Servicing Handbook. N. Any claim, damage or fault which is due to any type of accident or which comes to light during any such accident repairs or which is negligent or against the law of the country in which the incident occurred. O. The cost of any diagnostic work in excess of one hour and/or the cost of any dismantling work not associated within the costs of a valid claim. P. Any liability for death, bodily injury, consequential loss or damage to other property, out of pocket expenses or any loss caused directly or indirectly by the claim or event giving rise to a claim under this Warranty. Category 2 Vehicles: The Single Claims Limit is $8,000 including GST while Your Vehicle is within the manufacturer’s warranty period and $1,500 including GST while Your Vehicle is outside of the manufacturer’s warranty period. Category 3 Vehicles: The Single Claims Limit is $4,000 including GST while Your Vehicle is within the manufacturer’s warranty period and $1,500 including GST while Your Vehicle is outside of the manufacturer’s warranty period.